We spend a lot of time discussing Walt Disney’s advancements in the realm of comic-book movies (Marvel) and Star Wars sagas. And rightfully so. The studio has us lined up with chapters in both of those series from now until 2020, at the very least, with no signs of slowing down beyond that. But the studio also is hard at work at what could be the next tier of movie-going success, building a platform of live-action versions of its most popular animated classics, and the next one might have just swam to the surface. A day after dropping the teaser trailer for its live-action Beauty and the Beast, Disney reportedly is circling the wagons for a live-action take on The Little Mermaid, a story that they once animated back in 1989. Deadline has to the story, citing sources that say Disney executives are in the "early stages" of discussion on a possible Little Mermaid, and have even held "initial discussions" with producers, some of whom have close ties to Disney. This shouldn’t be too surprising. Earlier this year, Jon Favreau’s The Jungle Book packed theaters (and promoted 3D) by earning more than $850 million at the global box office (and counting). Last year, Kenneth Branagh’s Cinderella banked $543 million in total, while the studio’s Alice in Wonderland managed to cross $1 billion back in 2010. Technology is allowing filmmakers to reproduce what was once limited to animation, so you can see why Disney is eager to go back through its catalogue and find classic stories that could benefit from a live-action makeover. The animated The Little Mermaid was an adaptation of Hans Christian Andersen’s fairy tale about a mermaid who dreams of being a person (or, sing it with me, "part of your world!") She makes a deal with a horrendous sea witch, sacrificing her main gift – her singing voice – for a pair of legs. Naturally, things go south from there. The challenge of a live-action The Little Mermaid, I’d think, would be the underwater scenes. However, mermaids were a part of the most recent Pirates of the Caribbean film. 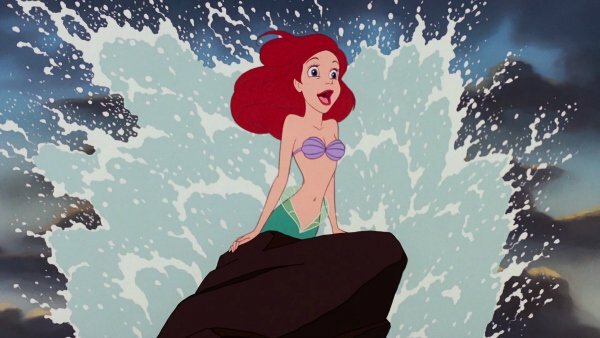 What if that excursion was all one big tech test for Disney to see if Ariel really COULD be brought to life, in live-action, on the big screen?! That would make about as much sense as anything that happened in Pirates of the Caribbean: On Stranger Tides. Similar to The Jungle Book, though, there is a second Little Mermaid that has set up shop at a rival studio. Universal started developing a Little Mermaid story with Chloe Moretz in the lead, which they want Rebecca Thomas to direct. Disney seems to have greater name association with The Little Mermaid, and could have a strong advantage from that standpoint if the two projects were to somehow go head to head. I mean, just the music alone helped Beauty and the Beast top Star Wars when it came down to interest in its teaser trailer. We’ll continue to track the progress of this live-action The Little Mermaid. Do you like the idea? Is it the right choice for a Disney live-action story, or is there another one you’d rather see, instead?